Fusion – Impressive Updates for 2017! The 2017 Ford Fusion is so impressive that Beach Automotive is sure you’ll want one for yourself! The 2017 Ford Fusion delivers a fresh interpretation of what customers have come to expect from Ford. Ford and to love from Fusion! 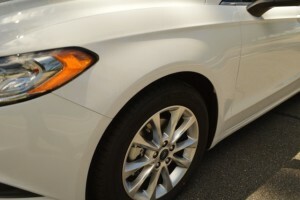 Fusion drivers know that a sedan can be stylish and bold. But, it can also be performance oriented and technologically innovative. You’ll have to come see for yourself! The 2017 Ford Fusion has been updated both on the inside and the outside. Ford has incorporated striking new design elements that will demand your attention! Fusion surrounds its occupants with a cool, tech-savvy cabin that features new materials, exceptions craftsmanship and thoughtful design. The new Fusion has sleek athletic design and a redesigned front fascia. It features new headlamps and new upper and lower grille openings. There are also three new model-specific grilles. The front LED signature lighting is now standard on the SE model. Updates also include a new aluminum wheel lineup that offers 17 inch, 18 inch and 19 inch designs. 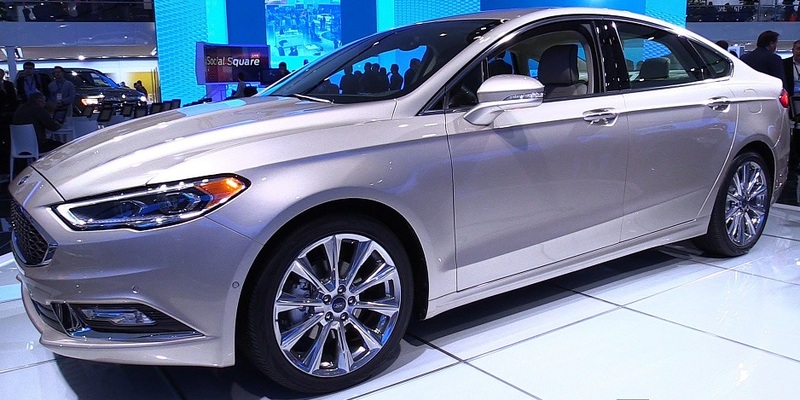 There are also three new exterior colors: Lightning Blue, Burgundy Velvet Metallic Tinted Clear-coat and White Gold. Ford has revised the console area. 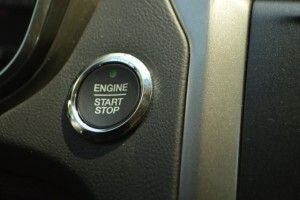 The push-button start is now standard on all models. 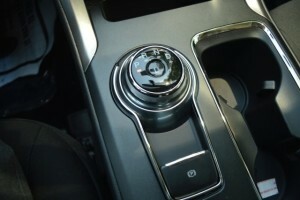 There’s a rotary gear-shift dial that replaces the traditional gear shifter. There are also new seat fabrics, leather and trim accents in four different colors. The new Fusion takes driver assist technologies to a whole new level for 2017! The innovative features set the bar for the competition. The new and enhanced available features include adaptive cruise control with stop-and-go. It also offers Pre-Collision Assist which includes distance indication and collision warning. The same system offers Pedestrian Detection, brake support and active braking. New features also incorporate SYNC Connect, 911 Assist and SYNC3. Another new feature is Enhanced Active Park Assist! The engine lineup has been expanded for 2017. This expansion offers customers quite the selection of standard and available powertrains. 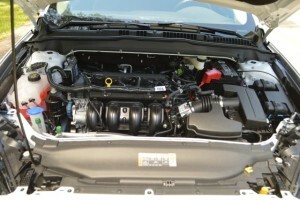 For this year, Ford is offering four gasoline engines. Three of those engines are EcoBoost engines. There’s a new high-performing 2.7L EcoBoost V6. That engine is standard on the new Sport model. The 1.5L EcoBoost now features standard Auto Start-Stop Technology. The new Fusion also offers the confidence of All-Wheel-Drive. AWD comes standard on the Sport Model. It’s also available on the 2.0L EcoBoost. The 2017 model services up an impressive model and powertrain lineup! The Fusion is available in S, SE, Titanium and the NEW Platinum and Sport trim levels. The Fusion Hybrid comes in S, SE, Titanium, the NEW Platinum trims. The Fusion Energi Plug-In Hybrid comes in SE, Titanium, the NEW Platinum trim levels. 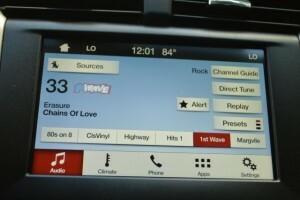 Ford has also offering a number of packages and options like the Driver Assist Package. The Driver Assist Package adds a heated steering wheel. The S Appearance Package adds halogen fog lamps. the SE Luxury package adds Intelligent Access with Remote Start. The SE Technology package adds a premium audio system that has 11 speakers! Those are some seriously awesome updates! So, have we got your attention yet? These are just some of the awesome new features of the 2017 Ford Fusion. Give Beach Automotive a call today and schedule your VIP test drive! 0 comment(s) so far on Fusion – Impressive Updates for 2017!